Rachael is a partner at Cheadles LLP. Rachael’s practice is dedicated to Education Law, Aboriginal Law, Police Services Law, and Labour & Employment Law. In addition to assisting clients with litigation and arbitration matters, she also advises in policy-development. Rachael has appeared as counsel before the Provincial Offences Court of Ontario, Superior Court of Justice and in mediation and arbitration hearings. Rachael received the Arthur Rhodes Scholarship for Outstanding Graduates of the Program of Legal Studies for Native People. While at Robson Hall Law School she was the recipient of the annual national Osgoode Society Legal History Book Prize for a Law student who merits special recognition for work in Legal History. In the Canada-wide 2014 Kawaskimohn Aboriginal Moot at the University of Toronto she participated in negotiating an Impact and Benefit Agreement between First Nations, mining ventures and Province. Rachael studied Political Science at Lakehead University and pursued additional studies in science at the Baccalaureate level. 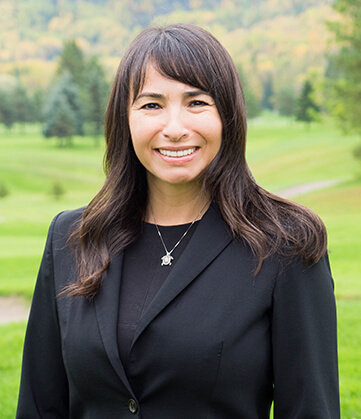 Prior to law school Rachael worked with First Nation organizations and functioned in a multi-portfolio capacity with a broad range of responsibilities for projects in education, counselling, student services, capital, project management, advocacy, liaising and developing partnerships. She was responsible for project design, implementation, management and reporting to funding agencies and First Nation leadership. She also gained valuable experience in research, policy analysis and development. In addition she has served as a volunteer Board of Director’s member for several not-for-profit organizations. Rachael was born in Sioux Lookout and raised in Northwestern Ontario and is bilingual in Northern Ojibwe and English. “The Anishinabek Nation Education Agreement: Expanding the horizons of education self-government in Canada”, CAPSLE 2017: In the Land of Living Skies – Expanding the Horizons in Education and the Law, Proceedings of the Twenty-Eighth Annual Conference of the Canadian Association for the Practical Study of Law in Education, held in Saskatoon, Saskatchewan April 30 – May 2, 2017. Co-authored and co-presented with Donald B. Shanks LL.M. and Jordan R.D. Lester, G.J.H., J.D. “Electronic Snooping Results in Large Payments and Costs” published in 2014.